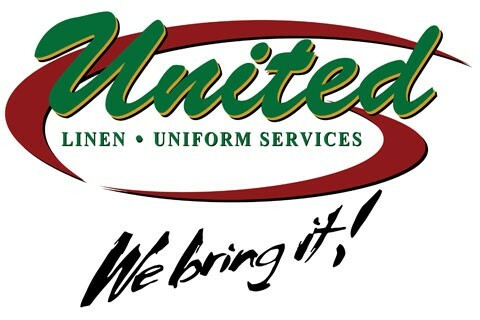 Established in 1936, United Linen & Uniform Services is a 4th generation family owned and operated business providing rental services in NW Arkansas, SE Kansas, SW Missouri, and all the major markets in Oklahoma. Serving the hospitality, healthcare, and other industries with care and friendliness we provide linens, facility services, and uniforms that help our customers deliver a first class impression. Linens for Food and Beverage include aprons, bar towels, napkins, and tablecloths. Facility Services include products such as floor mats, dust mops, wet mops, air fresheners, and paper dispensers. Apparel items include chef wear, industrial uniforms, as well as customized embroidery. Healthcare products include everything from sheets to scrubs.